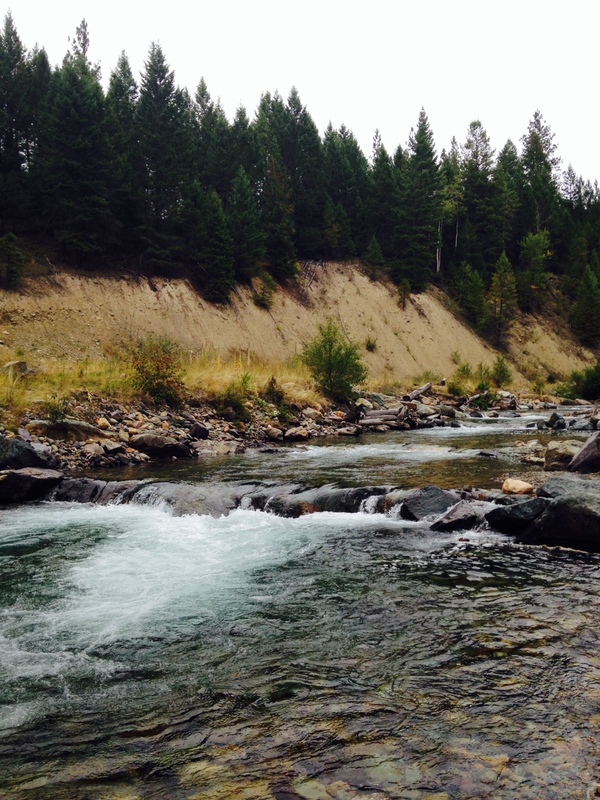 There are some places in Montana that are still wild, free and undisturbed. And for this messy-haired Montana girl that grew up in the shadow of the Rocky Mountain Front, it’s probably no surprise that my soul connects with places that are wild and free. 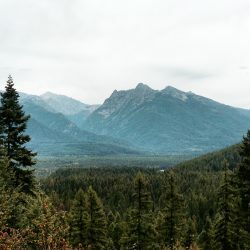 Earlier this month, I was able to connect with one such place: Western Montana’s Lincoln County. Fall colors in the Cabinet Mountains near Libby. 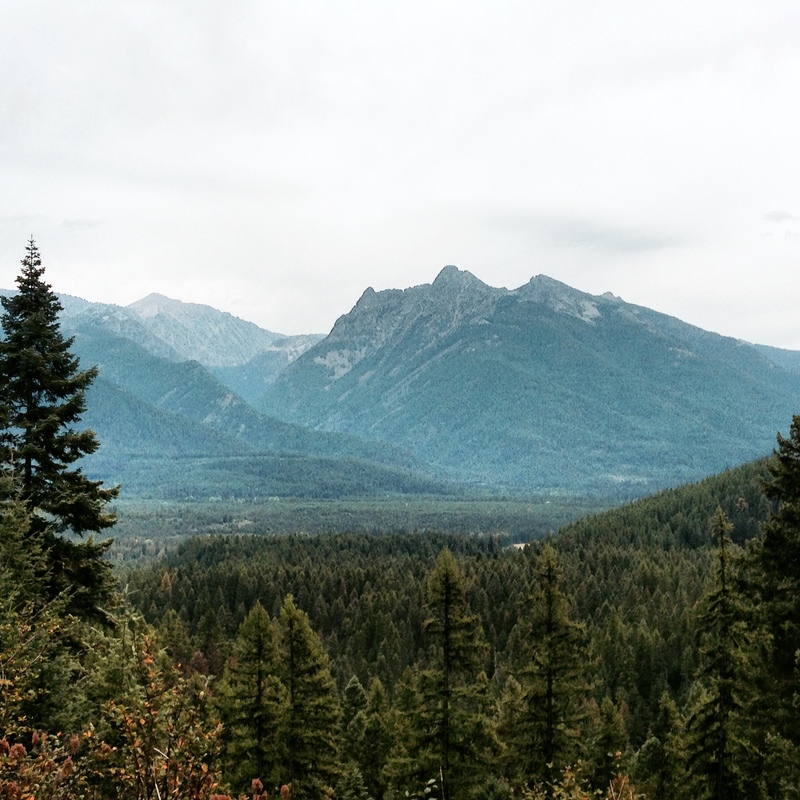 Located in the far northwest corner of the state, Lincoln County is home to expansive wilderness, old growth forests, small towns and a cast of lovable characters (AKA my favorite kind of people) that make up small town Montana. 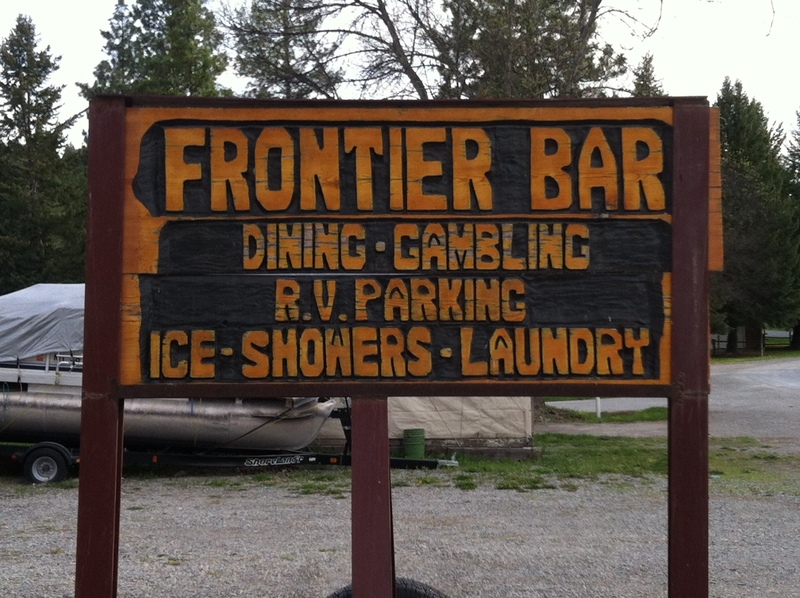 While there, we explored various off-the-beaten path attractions and visited some of my favorite places near Libby. 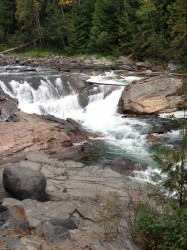 Upper Yaak Falls between Troy and Yaak. 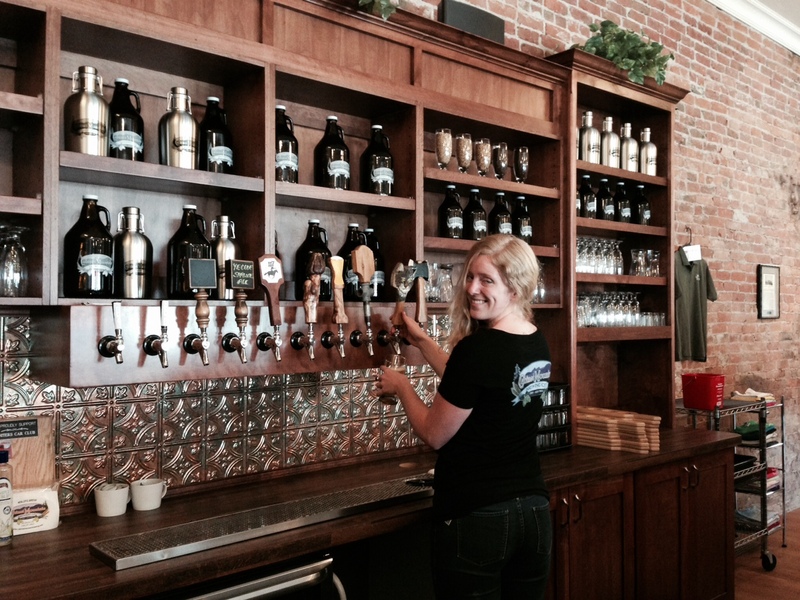 The only female-owned brewery in Montana: Cabinet Mountain Brewing Company in Libby. 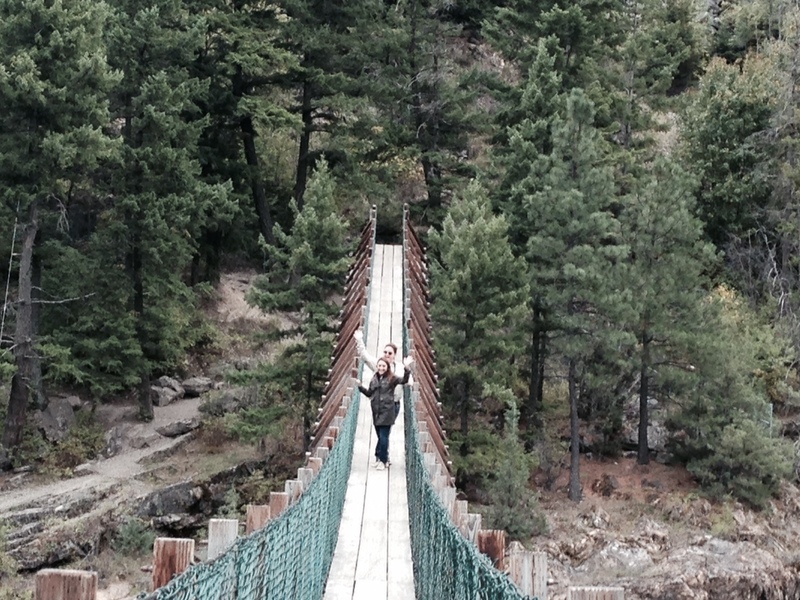 For adrenaline-pumping fun, we took a stroll out onto the swinging bridge over Kootenai Falls. A peek at Libby Dam. After exploring Libby, Troy and Yaak, we made our way to one of the cutest (literally, it is so cute) towns in northwest Montana: Eureka. The morning view from my room at the Wilderness Club. 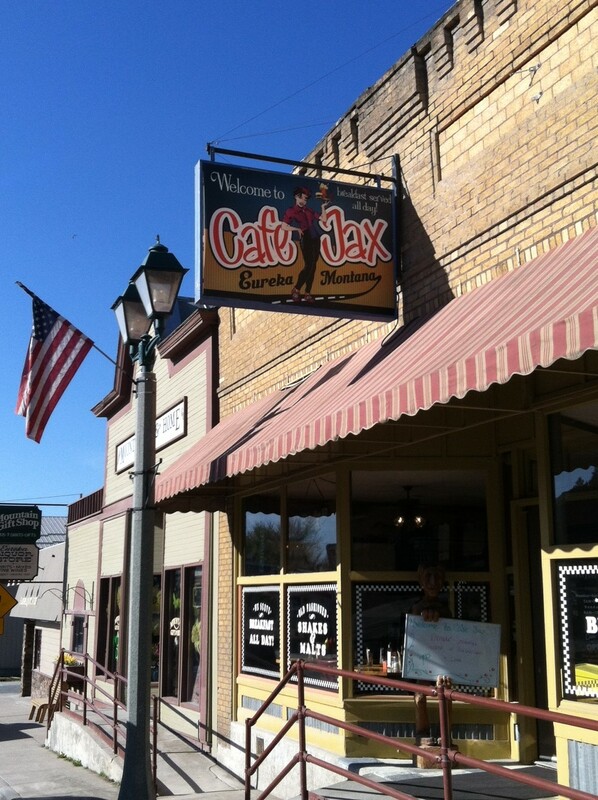 The first stop in Eureka: Cafe Jax. Fresh snow perfectly dusted the tops of the Tobacco Mountains. The colors were just starting to turn around Graves Creek. We also made a jaunt to Lake Koocanusa, a lake that Montana shares with Canada. 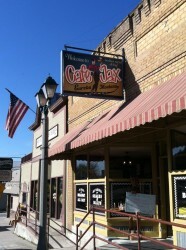 Our dinner destination in Rexford. PS: If you go here, order the fried chicken. It’s THAT good. 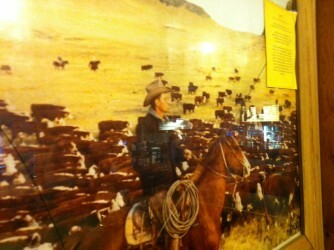 One of my favorite things about The Frontier Bar: this picture from a ranch in my hometown of Augusta. 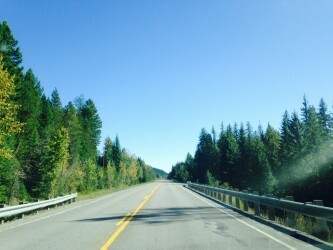 The road home, Highway 2, was framed by fall colors and sunshine. 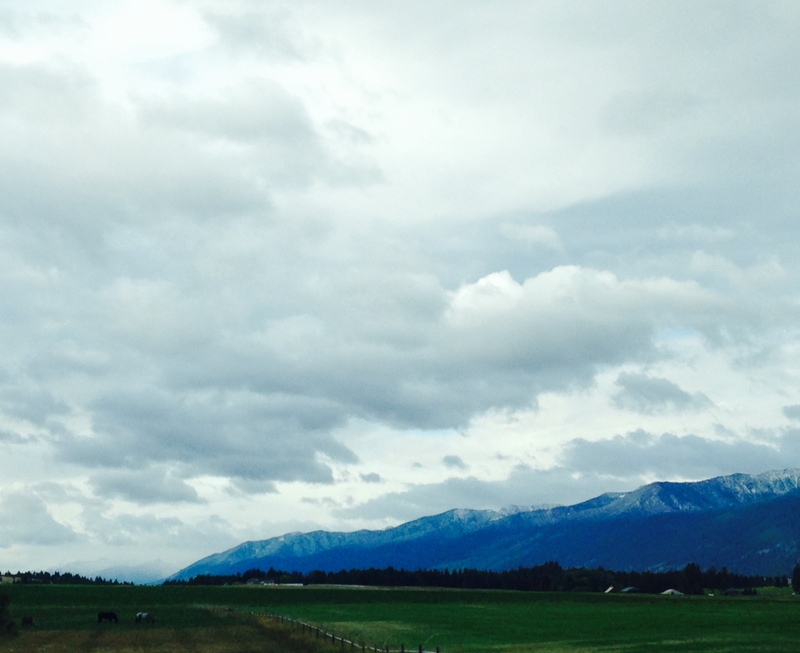 It was a lovely few days in one of Montana’s most stunning places. And I already can’t wait to go back. Your turn: Where are some of the places that you feel most connected to? 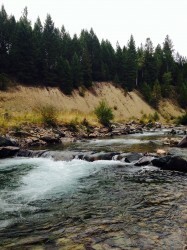 This entry was posted in Uncategorized and tagged Autumn, Fall, Lincoln County, Play on September 24, 2014 by tiatroy. Thank you for writing this article. I miss my hometown so much (Troy). Seeing articles like this make me homesick, but they also make me feel closer for a little while. I miss the wild, and the freedom. 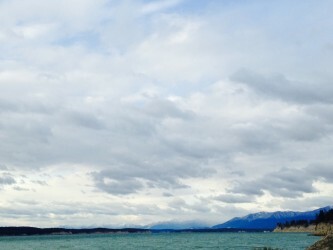 It’s just a feeling in my chest, like every since I left there has been a Montana sized hole in my chest. 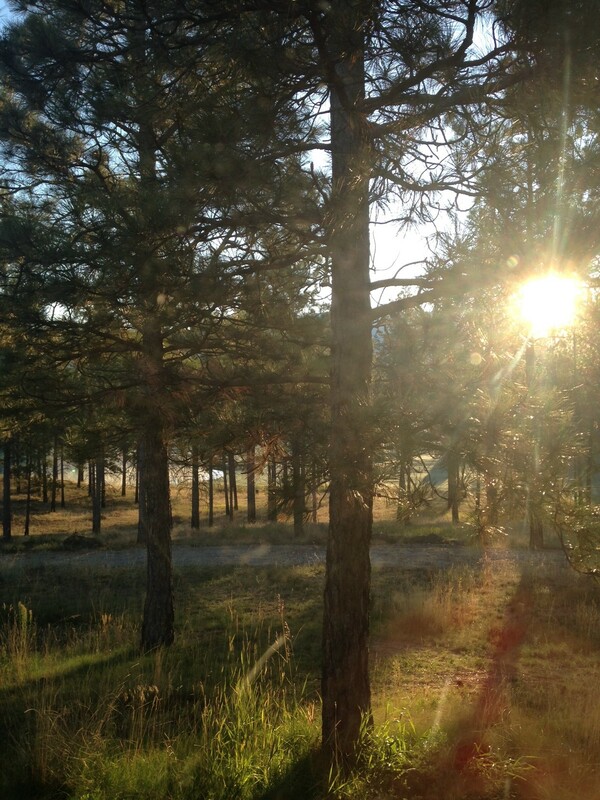 Ah, Michael…Montana has a way of making you miss her, doesn’t she? The Cabinet Mountain Wilderness in NW Montana. Grew up in Thompson Falls. Many awesome hiking trips there! 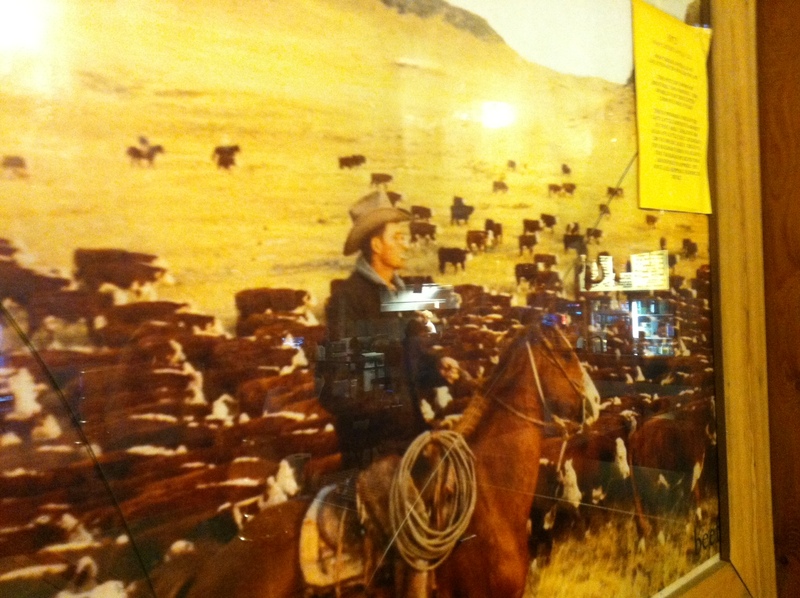 I lived and taught school in Heron, Montana for 12 years. I have been to and loved all the places you described and showed photos of and I miss it so much!! The Swinging Bridge is a lot more tame that it was in the 70’s and 80’s!! I was born in Hot Springs and grew up in Thompson Falls. I’ve lived in a lot of places, including London, England, for 10 years. Western Montana is a special place on this earth. As you say, “Wild and Free”. My favorite places are not towns or places where towns used to be. My favorite places are places where there are no people but every person should see. 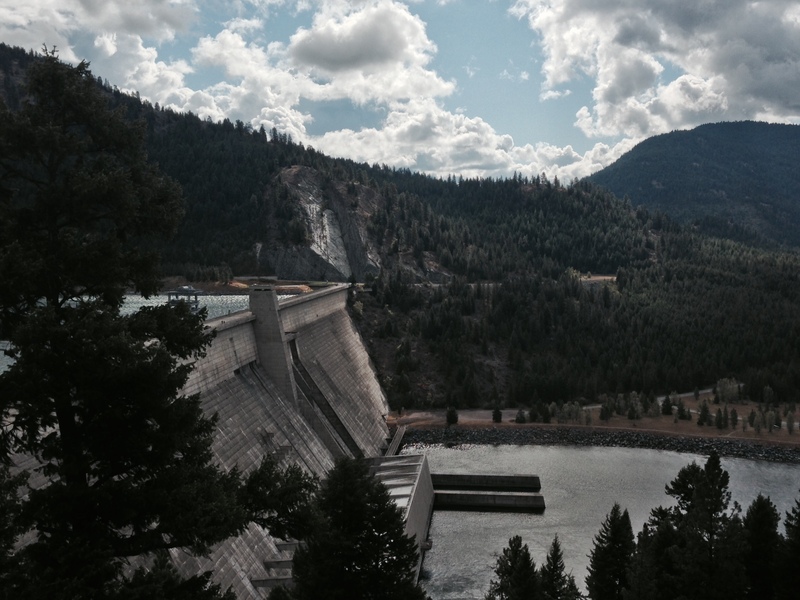 I have had the opportunity to introduce Montana to people that have never been to such a place. Somebody that lived in a city their entire life does not understand what freedom or wilderness is until they actually experience it. Sometimes, the experience bring on panic attacks. Something I have witnessed more than once. Something the panic stricken will never forget. When I have the feeling that I am on my own and in charge of myself; when I have to watch every step I take and think about everything I do before I do it, I am in my favorite Western Montana place. I know that I am almost there when the long dirt road ends and the trail begins. Beautifully said, David. Thanks so much for sharing that. Mike, Montana has a way of getting in your heart and never leaving. And I’m so glad to hear that you visit Augusta! That is indeed my hometown – my family actually owns the general store on main street. 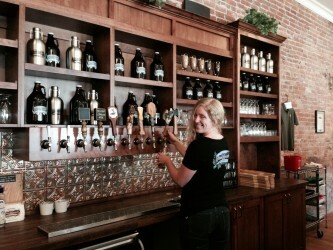 Be sure to pop in and say hi the next time you’re in town! NW MONTANA has captured my soul . God’s perfect creation!